So many new graphics cards, there is initially only a reference model and (more or less) later, the graphics card manufacturers then develop their own models on this basis or with their own circuit boards. But for custom designs of the AMD Radeon VII (our test)it did not look like there were any plans and it was a guess that AMD would hold its partners back. However, as KitGuru reports, AMD UK spokesman Joe Cowell has stated that partners have free to offer modified versions. This should probably give it relatively soon Custom models with other coolers or their own boards. 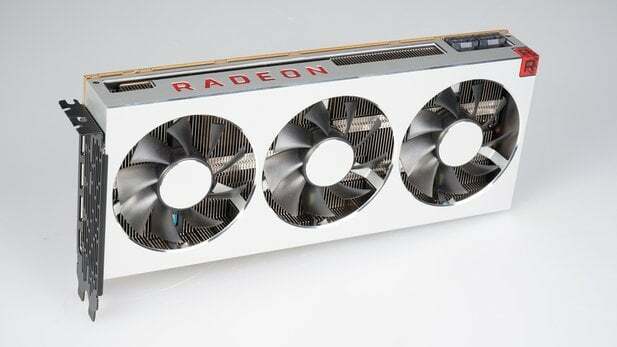 The Radeon VII is not only intended to appeal to gamers, but also to customers who edit or stream videos. With 5 GB more VRAM than a Geforce RTX 2080 Ti, the new AMD graphics card seems to be particularly well suited for this and even solve problems when working with 4K videos. For example, Digital Foundry claims that it uses 4K video in Adobe Premiere Pro every day, and has previously used an Nvidia Titan X with Pascal GPU and 12GB of VRAM, for example, to create comparison video games. According to the Digital Foundry article with the Titan X there are always problems, because a frame can not be calculated due to insufficient video memory. For someone who experiences this on a daily basis, it is annoying. For the creators of 4K content, the AMD Radeon VII is still an expensive graphics card, according to the review, but delivers a professional amount of video memory that makes even challenging projects easier. Nevertheless, Digital Foundry also believe that 16 GB of HBM2 are currently exaggerated for games, but that too could change. The first games like Battlefield 5 can use between 8 and 11 GB of VRAM in 4K. A little more and only the Radeon VII would be able to deliver the necessary memory without tricks. Incidentally, the conclusion of the Digital Foundry test is that while the Radeon VII will not provide a high-end price war, it gives an idea of ​​what 7 nm and HBM2 will do.